Affordable Secure Self Storage : Just Within Your Reach! If you are looking for affordability and security in your storage, then you’ve come in the right place. We offer affordable secure self storage. Having someone else look after your belongings requires trust. And in finding a facility that you will trust your belongings with, the main thing that you might be looking after is security. Then along that is affordability. Of course, security comes with a price. Spending more just to get that might not be too practical for you. Moreover, finding both deals in a self storage services facility might be difficult. Luckily, Macy’s mobile storage has both values to offer in our services. Our modules have two locking points on its door for your own locks. Our self storage facility has CCTV and the fire alarm system undergoes an annual audit. And get this, no one has access to your modules but you. We can’t even open your modules with or without your permission. How’s that for security? And you don’t need to pay that much for all that. At Macy’s we offer our services at a very cheap rate. And you can rest assured that it stays budget friendly because there are no surprise rate increase and additional fees. When you call to book your appointment, you will be fully educated on our pricing and even be advised how to get the most of your deal. Speaking of getting the most of what you pay for, in this article find some cool DIY tips for you to make most of your self storage budget, plus some additional information about your possession’s safety. How to make self storage more affordable? By the time you find affordable secure self storage, the tendency is you’d lose the leash and just throw in all your stuff that you thought you need storing. If you think this is true for you, then it might help reassessing your stuff. Sort it up. See if all of them really need to go. I hear you, extracting them from the pile was already a piece of work, but if you want to save, then you need the legwork. Once you get the size of that heap reduced. Time for you to settle to which size of our modules you will choose. You both do want to cram your module, but also you don’t want to pay for extra space. You can choose from either our small module or the big one. The smallest module that we have is 2.30 m deep, 1.20 m wide, and 2.16 m standing. Next small module that is 2.42 m deep, 1.22 m wide, and 2.30 m standing. If you need it a little bigger, you can have a module that is 2.30 m deep, 1.50 m wide, and 2.16 m standing. The biggest that we have is 2.42 m deep, 1.22 m wide and 2.30 m standing. Our facility is guarded by security personnel 24/7. And is equipped with security cameras in strategic areas of our warehouse. Thus, your modules are heavily guarded and secured. We also exercise fire precautions and is equipped with fire alarm system whose functionality is being audited annually by authorised auditors. Our professional security will always check every single cube and make sure that locks are in place. If a customer forgets to lock their cube, our personnel will call the customer and guard the cube until they arrive. Our modules engineering’s design is mainly for longevity and durability. Its construction is superb and is made from durable materials that is proven to last. This was ensured due to the fact that your modules will keep your possessions while they are in our care. You’re the only one that has access to your modules. And you can access it anytime you want. This can be your own way to ensure security. Although, that is your own discretion. You can trust our care for your goods. We can work with you in achieving affordable and secure self storage. You can do the tips given in this article and we can take care of the rest. Affordable secure self storage is exactly what we have and so much more! Here at Macy’s we value our customer’s business and offer security and affordability and so much more. If you go through Macy’s Mobile Self Storage blog section, you’d find more helpful information about us and our services. Want to book your affordable secure self storage now? Call us at 1300 40 90 69, or go get an instant quote now. You can easily click it on the top tab here on this website just right next to “Home”. 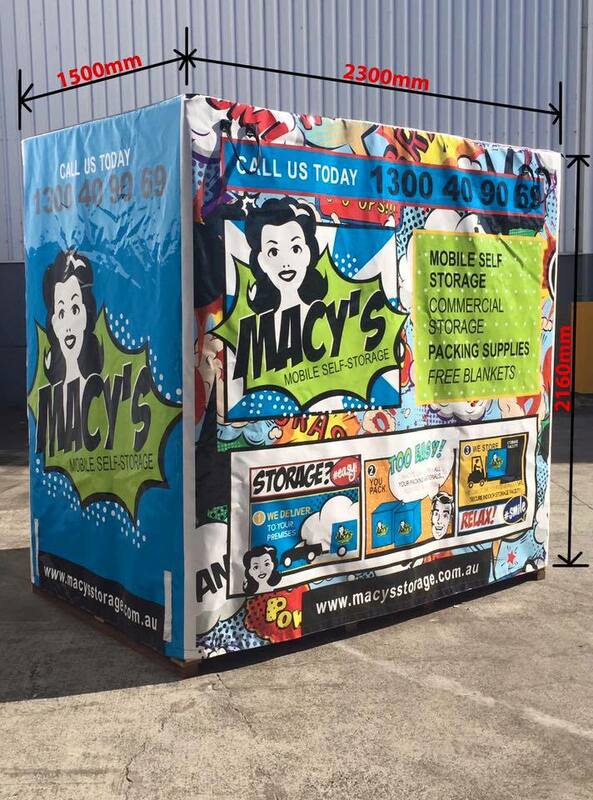 This entry was posted in Storage and tagged Macy's Mobile Self Storage, secure self storage, self secure storage, self storage, self storage facility, self storage sydney.